The Power of Your Mind is a Skipton based clinical hypnotherapy practice owned and run by Amy Brown, professional qualified hypnotherapist in Yorkshire. Amy is a Yorkshire born and London trained clinical hypnotherapist. Hypnotherapy sessions are held in the town of Skipton, North Yorkshire which is conveniently located for many parts of West Yorkshire and Lancashire. She works with you, on a one-to-one basis. Her hypnotherapy sessions are solution focused, often involve interesting, important tasks to do between sessions and sometimes involve practical cognitive behavioural therapy techniques too (CBT). A member of the General Hypnotherapy Register (GHR), the Complimentary and Natural Healthcare Council (CNHC) and The Hypnotherapy Directory. Trained in London at The Institute of Clinical Hypnotherapy (ICH) and, having previously practised in London, is now based in Skipton, North Yorkshire. Amy is originally from Bradford, West Yorkshire. Volunteers regularly for Oxenhope’s Sue Ryder Manorlands Hospice. She works at their drop – in service at Airedale hospital and at Hellifield GP practice using hypnotherapy and relaxtation to support those with life-limiting illness and their carers. Reguarly attends Continuing Professional Development courses (CPD’s) to continue her learning as a professional hypnotherapist. A member of the ICO (Information Comissioner’s Office) date protection service. She has professional liability insurance. She has regular supervision with fellow hypnotherapists. Carries a DBS (Disclosure and Barring service) Certificate for your reassurance when working with your children. Amy coordinates a Hypnotherapy Peer Support Group in Skipton. Amy is also a HypnoBirthing practitioner. She teaches antenatal classes to pregnant mothers and their birth partners. The course enables confidence and calm for a positive birth experience. 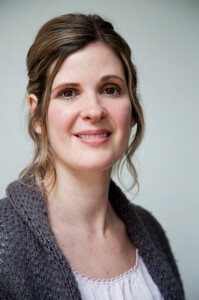 She is also qualified in Katherine Graves Hypnobirthing method and has previous training in The Mongan Method. Amy also co- runs Positive Yorkshire Births Workshops. The Power of Your Mind is located in central Skipton. Skipton is conveiniently located for Ilkley, Harrogate, Bingley, Keighley, Bradford, Shipley and Leeds. Barnoldswick, Earby, Colne, Clitheroe and Burnley in Lancashire, and the Yorkshire Dales are also nearby. Read what others have to say about Amy’s hypnotherapy work. Contact Amy for further information or to book a hypnotherapy session. The power to change lies within us all.